Our "Old" Boys and Girls are a group of former players, coaches, and volunteers who have been affiliated with BRFC and who would like to keep in touch with the BRFC community. We all know that there is now school quite like the old school, which is why we want to make sure we have a proper community for our former players, coaches, and volunteers. 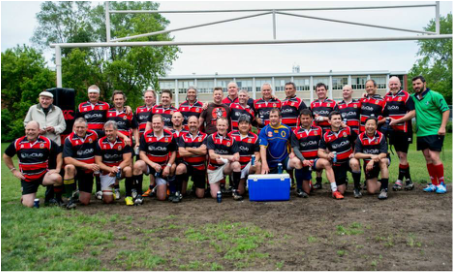 Throughout the summer fifteens season, we have a few friendly matches organized with other clubs from Quebec and Ontario, giving players the chance to dust off their boots and relive the glory days. Our Old Boys and Girls community also keeps members in touch, organizing social events, and chances to mentor the younger generation. Please get in touch with John Gunnip if you would be interested in maybe dusting off the boots, or just to get back in touch with your old mates and laugh about how soft the new kids are. To reconnect and keep up to date with fellow BRFC Old Boys and Old Girls, join our Facebook Group: BRFC Old Boys & Girls! ​Contact John Gunnip for more information!